Ideal for shipping and receiving, factories, mining companies, steel companies, and other industrial businesses, the Tor Rey CRS 500/1000, 1000 lb. 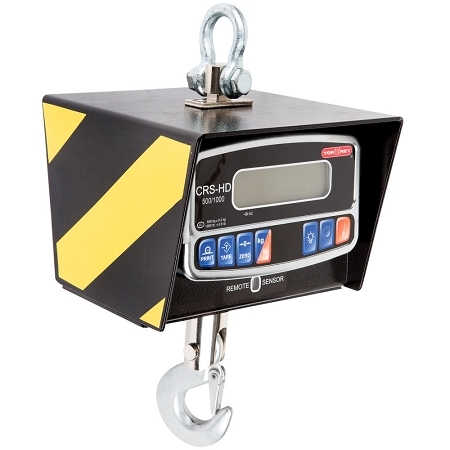 crane scale is the accurate, reliable, and fast solution for all of your weighing needs! 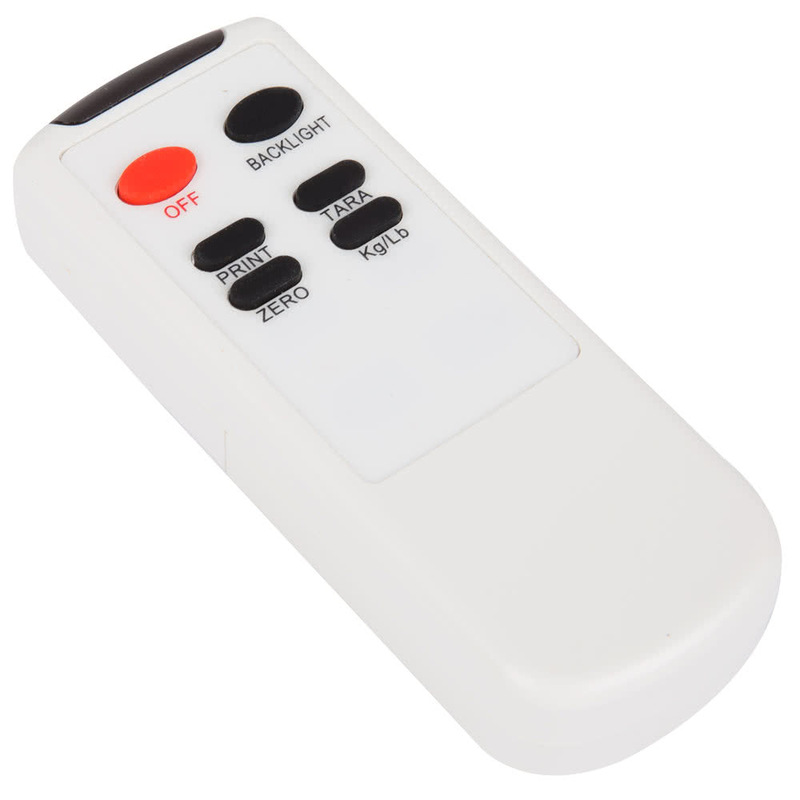 The back-lit LCD display can easily be read in low light and dark conditions and can toggle between pounds and kilograms with pinpoint accuracy, saving you time and money. The durable cast aluminum scale also features a hold function, automatic shut off, overload and low battery indicators, and a gross vs net weight display to promote safety, accuracy, and efficiency. Plus, it comes with an 80 hour, rechargeable battery and a remote control that works up to 33 ft. away to increase versatility and ease of use. Dimensions: Width: 8", Depth: 5 1/3", Height: 15"